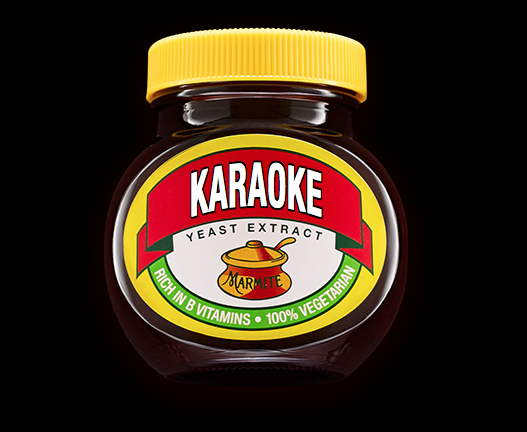 Karaoke is a marmite thing; You either love it or you hate it. For the haters of Karaoke, I have provided you with a link to something else that I think you’ll find interesting… For the easy lovers, the wannabes, the Mr Big stuff and the Mrs Robinson’s of this beautiful earth, we have compiled the ultimate Karaoke kit list for you to spread the message of self-sung-song far and wide. Lets start at the very beginning, a very good place to start (Any Sound of Music fans in the house?) I mentioned the origins of Karaoke in a recent post for Singa Professional Karaoke software, and the meaning behind the word itself roughly translating to ‘Without Orchestra’. ‘Kara’ meaning empty/bare handed as in ‘Karate’ and the ‘okee’ sound is the first syllable of the word ‘Orchestra’ as pronounced by the Japanese. Legend has it, Karaoke started when a bar owner in Japan thought there was a cheaper way to bring entertainment to his bar in quieter times – he decided to let his customers sing songs to instrumental backing tracks. Since then, Karaoke has actually flourished into a great pastime when gathering or out with friends. Another concept in recent years has been the invention of live karaoke with an actual band, so you’re effectively the singer of your own group! Rock on! Companies like Rockaoke have helped with this phenomena. Why has Karaoke become so popular? In places such as Korea and the Phillipines, it’s commonplace to have a karaoke machine in your house. If you’re brought up with a Karaoke machine instead of a playstation, you’re going to be in to Karaoke. Asian countries also look favourably on Karaoke being the go-to for post work team building amongst co-workers. The Far East karaoke formula is right on price, too. For a flat rate per person, per hour, you get a private karaoke room with all the food and drink you can manage! The western world has TV shows like The Voice and X-Factor, which only make us want to pick up a microphone and belt out a couple of tunes regardless of whether it’s in the comfort of your living room or having sing song at a dedicated venue. Companies such as SYNC have generated this concept in North West London, right near our head office. Thinking out Loud (Ed Sheeran *cough*) I think Karaoke has grown thanks to how fun it is to sing with your mates, regardless of whether you’re drunk or sober. Our Youtube and Spotify driven world now allows us to listen to a plethora of songs over and over again wherever we are, so it makes sense for us to show off and sing with our friends to celebrate, don’t worry and be happy (Bobby McFerrin). Where can I do Karaoke? Karaoke can be done pretty much anywhere! In it’s simplest form it can consist of one person, singing to instrumental songs from youtube with their lyrics on screen (hence the “lyric version” videos you’ll often see in your search results). You could sing your heart out whilst cooking dinner, on an aeroplane (maybe!) or even walking around the supermarket doing the weekly shop. The most popular karaoke solution for your home is the all-in-one karaoke machine (read the How to Karaoke below). If you’re looking to sing your song to an audience, the pub billboards and Facebook events are the next thing to check out. A local Karaoke night is a great way to hang out with friends, team build with work colleagues and celebrate good times. Of course the Dutch Courage can help, too, which is readily available at all good bars and pubs that offer Karaoke. Speaking of bars and pubs, as I said above with Bars such as SYNC and Lucky voice, you can now go to a dedicated Karaoke bar, where you can book a booth for a set time, access and navigate the vast song library to both increase your singing prowess and have a good time. Ok so how do I get Karaoke’d? Since 1990, the most popular way to ‘Kara your Oke’ is to buy a Karaoke machine setup, which usually consisted of a unit that accepts CD+G (Compact discs plus graphics). They usually come with a visual output to a TV, composite and SCART back in the day, now HDMI. One of the most popular units was the KAM Pro 5500 Karaoke DVD player, which also had other outputs to a larger sound system/AV receiver and a couple of mic inputs. Another desirable feature for karaoke machines is Reverb…. Lots of it! These machines surfed the crest of the CD wave, but nowadays the answer is digital. App based solutions, such as the Singa consumer app have revolutionised karaoke content for the better. There are other also advanced options for DJs who want to offer a Karaoke Solution to their customers in a more professional capacity. The best by far is the Singa Pro Karaoke system. If you’re a DJ that already utilises a laptop as the source of your tunes, Serato DJ Pro have a Video plugin that can manage MP3+G (karaoke format). VirtualDJ also offers a Karaoke plugin within their software, as do a couple of others such as PCDJ and DexDJ. Where can I buy Karaoke songs? Obtaining Karaoke tracks both past and present is the next thing to look into, especially if you’re not using a Karaoke streaming service like Singa Pro; for all other formats one of the Karaoke specialist websites will become your friend. One of the biggest online libraries for karaoke music is Sunfly Karaoke. Their website boasts a staggering 18,000 songs to download from all eras including latest releases. Other sites are the usual suspects like amazon, where you can purchase discs to then rip onto your laptop to use within software. This takes a little longer but you can buy giant box sets such as 80 tracks for £6.95 – bargain! It’s also handy when first starting a Karaoke collection to build your library to cover the essentials, that is tracks that everybody knows and loves. This will be something that you expand over time so you can cater for even the most niche requests. You will be surprised at the requests the general public will ask for. From Mariah to Noddy holder – you’ll probably have to carry everything in-between.. Eventually! 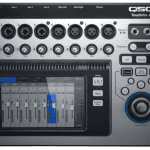 So you have your Karaoke play-out gear, either dedicated or integrated within a DJ setup. The next is obviously microphones! There’s a plethora of microphones out there, but when you buy a karaoke microphone system you have to make sure they have a certain criteria. 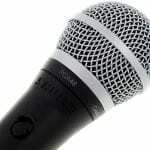 Karaoke microphones firstly need to be well built; theres nothing worse than a butter fingered punter dropping your mic on the floor or even spilling their G&T all over it. You’ll also want good value, as the chances are you’ll need to buy a couple plus a spare. Of course sound quality is important to you and I; but the honest fact of the matter is that the singers are far from main-stage-ready and ultimately the mic needs to be built to withstand the physical rigours of Karaoke life, rather than delivering a studio grade sound. We have compiled our list of the top 5 Karaoke Mic systems on the market right now – this contains all the information for both wired and wireless versions. So, now you’ve got your microphones for the Karaoke rig – you’re nearly there! Karaoke usually requires a multiple of microphones; one is used by you/the host and between two and four for the Karaoke singers. Most DJ mixers and controllers only accommodate a couple of microphones at best, bar the DDJ-SX3 with a third! For the best results a separate live mixer is the best way to get all of your inputs connected. It’s also nice to have other features on the mixer to enhance the Karaoke experience, such as FX like the essential Reverb/Echo, EQ and a secondary output for recording. There are tonnes of these out on the market, so we have compiled a list of our favourites with the Karaoke DJ in mind. The Karaoke singer needs to read the lyrics from somewhere! Handily enough our sister company, Atlantic Electrics, supply a whole range of screens from leading brands such as Samsung, LG and Panasonic. You don’t need much from the monitor; VESA mount for a stand and HDMI input. VGA is always nice to have even though its an older connection due to its forgiving nature with long lengths of cable, whereas HDMI is safest under 10m without using range extending devices (more on that another time!) Click here for a variety of screen options, available to purchase from us. Since running the odd Karaoke party myself, I’ve found some hardware and gadgets over the years to help make life easy. The first of these is the Novopro TVM35. This handy Novopro bracket allows you to mount an AV monitor directly onto a 35mm pole. This means your AV monitor for Karaoke lyrics will always be stable, even if your Karaoke punters are not so! It’s VESA compatible and comes with various M4 and M5 screws to fit your desired monitor. If you didn’t want to put it on a tripod, it could be mounted on a Gravity GLS331B pole and base system. Another handy stand is the Stagg Laptop table, especially handy for Karaoke systems that are computer/iPad based when you connect to a venue’s existing rig. The Stagg COS-10 can accept any size laptop and an additional shelf for things such as a Radio Mic receiver or audio interface. So there you have it; whether you’re a seasoned Karaoke professional or this is the first step to build your Karaoke Kingdom, I hope you’ve found this article useful. Please comment below if there is anything you would add!